With tens of millions of blogs out on the web, it is easy to get lost in the crowd. This article discusses some basic blogging strategies that will help you break through the clutter. Get familiarized with other blogging sites. This sounds very basic, but many people confuse corporate blogging with advertising and PR. Blogging is not a platform for advertising your products and services. These sort of blogs usually fail. Think of blogging as a social experience – real people share their personal experiences and engage others in interesting and thoughtful conversation by adding value to the reader. To be successful you need to be able to add value through relevant, insightful, and interesting content with a sense of style. Do some research on your competitors. What are they blogging about? Are they successful? What makes them successful? What tone do they use? How do they engage with others? What kind of comments are left on their blog? These are all things you need to know about the culture before you get started on your own. Sit down and write down your company’s goals. What is your PR strategy? Can a blog help you with your marketing goals? If your goals includes search engine optimizatoin (SEO), demonstrating credibility, showing expertise in your field, demonstrating innovation, and more press coverage, then you should highly consider having a blog. This is highly important and should not be overlooked. There should be a deliberate strategy involved in the style, length of the post, how to bring new users to your blog, and how often will you write. Who will write your blog? A product manager who knows the product in and out? You have to find someone that is passionate about the subject and be able to write, quickly! Again these are all things to consider when coming up with your blog strategy. This is the key to blogging. Readers tend to ignore faceless advertising. The more you interact with customers the more likely they will share and post positive recommendations about you. To be successful you need to be relevant and demonstrate authority on relevant subjects. This will bring credibility to your blog. Look for websites that have related information to your sector and check back often. Blog about someones controversial opinion on a news story, these sort of posts should be cited by linking to them. Referencing other links and bloggers will turn into links, traffic and hopefully more exposure for your company, thus leading to sales. You have a blog now. Use it! The biggest problem with most of us is we just have too much on our plate, and are quite frankly just too lazy. Publishing a new blog post often leads to more followers, because RSS feeds draw more traffic as publishing increases. 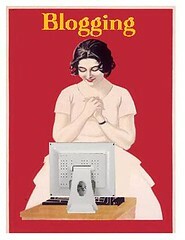 Writing a new post at least weekly will help tremendously with a higher search engine ranking. You must have an understanding of how to react to comments and customer blog posts. A blog should have guidelines have constraints. For example: How big will your blog posts be? Remember no one wants to read an essay. How often will they be posted? How many times will it get proof read? We encourage everyone to go through the steps carefully while really thinking about the process, as blogging is as much about the process as it is about the blog. You want to communicate with the user – not just making a sales pitch but a added value that works strategically. Hi Mike, A great post! First of all i like to sure that if someone want to blog, he should know his goles . Without any goles the blog is going to dead day by day!